An improving U.S. economy is making consumers more confident about buying cars, J.D. Power and LMC Automotive said today. DETROIT (Reuters) - U.S. new-car sales could hit 14.5 million this year, an increase of 13 percent from 2011, as an improving economy makes consumers more confident about buying cars, industry consultants J.D. Power and LMC Automotive said today. Previously, the consultants forecast annual sales of 14.3 million. In 2011, Americans bought 12.8 million cars and trucks. Current forecasts by other analysts and automakers call for U.S. light vehicle sales of 13.85 million to 14.8 million units this year. J.D. 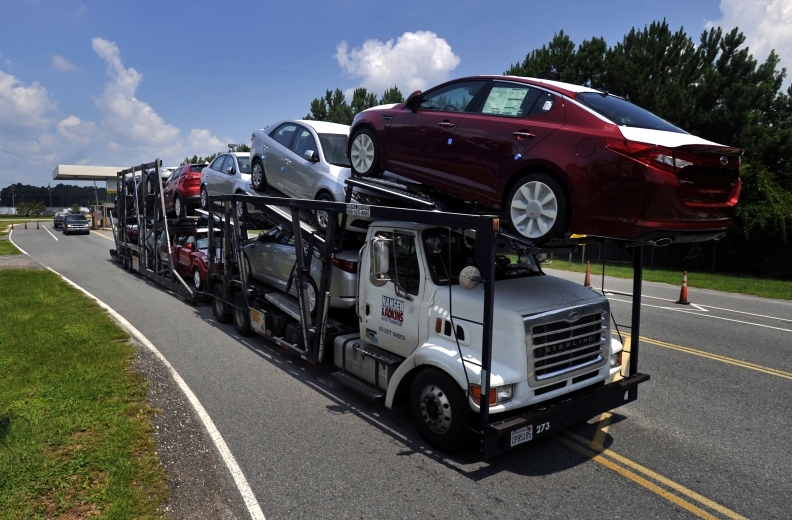 Power and LMC also predicted that light-vehicle sales in May would rise 21 percent to 1.38 million, when adjusted for more selling days this month than in May 2011. That signals an annualized sales pace of 14.3 million for the month, just below the 14.4 million sales rate in the March and April. "There is little question that this market currently has momentum, but it also is benefiting from the stability in the economic and macro fundamentals required to sustain a higher selling rate throughout the remainder of the year," LMC analyst Jeff Schuster said in a statement. Last year, sales in May suffered because of the earthquake in Japan, which led to vehicle shortages for Toyota Motor Corp and Honda Motor Co Ltd.
Now both automakers are recovering. Auto research firm Edmunds.com projected Toyota sales will increase 90 percent in May and those of Honda will rise 50 percent. Edmunds.com also predicted automakers would sell 1.39 million vehicles in May, u p about 31 percent from May 2011. The firm forecast a sales rate of 14.4 million for the month. LMC also boosted its forecast for vehicle production in 2012 in North America, citing the rising demand and the recovery by the Japanese automakers from last year's earthquake in Japan. It now expects 2012 output to reach 14.9 million vehicles, up from its prior forecast of 14.3 million.